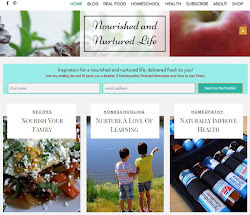 Nourished and Nurtured: Why Wouldn't a Mom Use Homeopathy? This article is a guest post by Joette Calabrese. 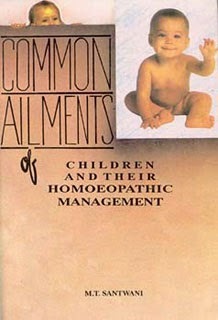 This is the first in a series on homeopathy for infants and children. Are you tired of using drugs that just. don’t. work? And what’s worse- each medication comes with a slew of detrimental side effects; all kept on the down low with that teeny, tiny fine print. We should prick up our ears wherever there’s fine print. That’s where the most invaluable information resides! What so many folks forget is that the human body is a miraculous machine. 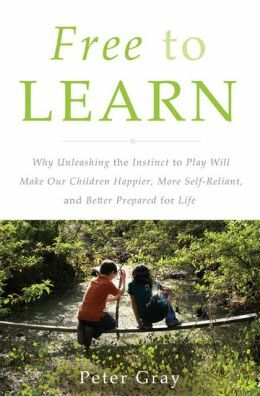 Our children are actually capable of great resilience and healing facility. Over-the-counter and prescribed medications suppress these abilities. This explains why, when antibiotics and other drugs are used to “control” or “manage” symptoms of one illness, another, more sobering illness or a worsening of the first illness usually follows close behind. Indeed, ear infections frequently return after antibiotic and acetaminophen are used. So, if you’re tired of these drugs, you’re in good company. Moms throughout the U.S. and world are tired, too! And they’re turning to homeopathy. It’s a centuries old method that empowers mothers. In fact, nearly 4 million U.S. adults and about 900,000 children use homeopathic remedies each year. With homeopathy, moms are gaining the (much needed!) confidence to treat themselves and family for simple first aid and common illnesses such as colds, flu’s, ear infections, pink eye and more. (I’m so excited to be offering a free webinar that will teach mothers and others how to avoid the mistakes that many make in treating their children. Go to www.HomeopathyWorks.net and sign up for my free E-zine and we’ll email you all the information you need. Homeopathic remedies, unlike medications, do not carry side effects and even though they’re regulated by the Food and Drug Administration, you will not find that ominous small print, warning of dangers. That’s because there aren’t any. As long as the remedies are used as directed, they act gently and politely. Moreover, though there are thousands of homeopathic remedies on the market, not one has ever been removed by the FDA because of detrimental effects! This speaks loudly for homeopathy’s safety, particularly since these remedies have been regulated by the government since the FDA’s inception in the 1940’s. So, just how do these reputable, homeopathic remedies work? Simply put, our body is capable of coming to balance (health), if given the correct stimulus. This is achieved by using a remedy that is chosen not for the disease, but rather the person who is experiencing the disease. This means that the choice is specifically tailored to the person. Let’s say three children, who are in school together get a fever. Although it may seem that they’ve all gotten the same “bug”, in reality they each present fever differently. One child might get a 104° fever with febrile delusions and panic, requiring the remedy, Belladonna 30. Another might have a fever of 101°, a stomach ache and clinginess, which would lead to a sure choice of Pulsatilla 30. Yet another child might be chilly, angry and have diarrhea with his fever. This child would profit from Nux vomica 30. By stimulating the body’s ability to bring itself to economy, each of these youngsters will not only resolve the fever within hours or a day or so, but they’ll also be left in a better state than before the fever presented! And if the child is prone to fevers, he will be less likely to have another one in the near future. However, if the illness is repeated, that same remedy will often work again. Generally, the body will resolve the propensity for this illness and it will likely not return. Why wouldn’t a mom want homeopathy in her house? What could be better than ridding a child of his fever, not by suppressing it and inviting the illness to return later, but by removing it gently, safely and without ever having had to leave the safety of your own home? Self sufficiency is a goal many of us want to attain. Homeopathy is the ultimate road toward self sufficiency. I invite you to join me and the millions of others who have eliminated the danger of superfluous drugs with safe and powerful homeopathic medicines. They offer the promise of restorative health. If you yearn to learn, contact Joette Calabrese at HomeopathyWorks.net for a free, 15 minute SKYPE or phone session and find out if homeopathy is a good fit for you and your family’s lifestyle strategy. For a download of our new, printer-friendly First Aid Chart, go to www.HomeopathyWorks.net and find it in the “Free Downloads and Articles” box. Don’t forget to check out all the information about Joette’s upcoming system designed for moms. Just click Yearn to Learn. 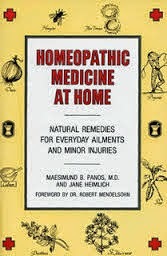 Maybe...it was not me who picked the remedies, but a qualified homeopathic physician...and he always tries more than 1 thing...but still...the pick might not have been right...We'll keep trying...thanks for the book suggestion!!! I love homeopathy - I cannot imagine being a parent without it. It is so empowering and has helped my children so much! i grew up in a household that didn't rely too much on medications, especially over the counter, quick fixes... so its nice to learn more about the choices that i have as a mother, myself. thank you for sharing! thanks for posting something on homeopathy..i never really was clear on how it all works...guess i always thought it was like herbs and essential oils. glad to stand corrected! thanks for sharing this great article. it really just makes good sense! I LOVE homeopathy! My son has rheumatoid arthritis and the GAPS diet was not quite enough to stop his joint swelling. Our homeopath did a 4 hour consult and found the correct constitutional remedy for him. He no longer has joint swelling!!! We have also been able to add in new foods without reactions which is such a blessing. I'm still amazed at how fast homeopathy works when you find the right remedy. We all recently had a cold and when we found the right remedy we were nearly symptom free until the cold went away. The book we use is Homeopathic Self Care by Robert Ullman, but it is essential to find a good homeopath. There are so many remedies out there that the person really needs to know there stuff to find the right remedy for serious illness. Thanks for a great article!! I'm a mother of two 7 year olds and we use homeopathy all the time! It's so safe and easy. A simple remedy like arnica for a fall and a bruise works like magic and is always in my fanny pack. I treated pink eye successfully, and right now we're struggling through sore throats, coughs, stuffy noses. I did not grow up using homeopathy, and did not use it as an adult, but as a mother it has become by far one of the most useful and effective tools and something I want to learn much more about! Thanks for posting. As a pediatric physical therapist I see a full spectrum of kids from all kinds of parents. Those whose parents overuse medications stand out because they are sick far too often. The illness repeats itself and the child seems to always have a cough, cold, runny nose, ear infection or other malady, and is constantly on some sort of antibiotic that doesnt really work in the long haul. Homeopathy, on the other hand gets to the root of the problem for good, but many parents dont choose it because they are not educated on its effectiveness. Thanks to articles like this, we have the tools to make better choices for our children and families. Thanks so much for providing this valuable information to mothers. You can buy the remedies as liquids instead of pellets, and that would avoid the lactose issue. I don't worry about the lactose, but I also use the split-dose technique where you dissolve 2 pellets in 1/2 cup water and then just drink 1-2 tsp (rather than taking the pellets directly). This method is also the best for reducing the likelihood of any aggravations from the homeopathic medicines. 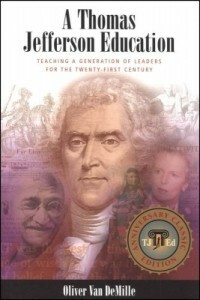 Joette thanks for sharing this information. Hooray for homeopathic moms! I'm one and write as regularly as I can about how homeopathy helps our family. Will be sharing this, thanks. Thanks for the insight you provide to the readers about Homeopathy. Okay I've looked into homeopathy a lot lately with a teething 9 month old. However, I can't bring myself to try it out. Everywhere I look there's someone saying that they are derived from poisons (i.e.- plants that are poisonous)...and even rat poison! 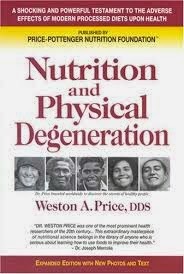 Others say that the effects are placebo...no better than water. Are there any credible studies you can point me to that would explain some of this? I have heard that even though the homeopathic remedies are made from poisons that they are in a very minute amount...diluted 10,000 times, but it still worries me as a mother. Yes, it is true that some of the remedies are made from poisons. (Many are not, but some are.) But it is also true that all homeopathic remedies are extremely diluted, so that even eating a whole bottle of the pills would not cause poisoning (and this is why homeopathic medicines don't even have a safety seal on top like over the counter medications do). Even though they are so diluted, homeopathic medicines work remarkably well. Homeopathic remedies are actually energy medicine, they work on the energetic level, not the physical level. One big argument I hear is that homeopathy is just a placebo effect. That can not be true, because placebos only ever have positive effects, whereas homeopathy can cause negative consequences and aggravations. Homeopathy has also been shown to work on very young babies and animals, which are two groups that can't exhibit placebo effects. I admit that we don't scientifically know everything we need to know to understand fully how homeopathy works. It works on the quantum level, and science is just scratching the surface on how things work at the quantum level. But a lack of scientific understanding does not mean that it doesn't work; it only means that we can't fully understand how or why it works yet. There are many multi-remedy formulas sold in health food stores. 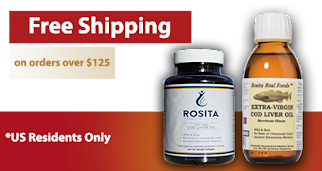 These combine very low potency remedies with several different remedies in each combination. This is not classical homeopathy, because in classical homeopathy only one remedy is used at a time. In my experience, these combination remedies can work to provide temporary relief, but not lasting cure. Using single remedies (such as Chamomilla in a 30c potency) is different in that it has the potential to provide lasting cure once the body is stimulated to fix itself. Anyhow, I hope this helps. Keep in mind that I am not a doctor or healthcare professional, but just a mom who is doing lots of research and is happy to share. If you want a book to help with selecting single remedies for your child, I would recommend Dana Ullman's Homeopathic Medicine for Children and Infants. In the teething section of that book, for instance, in addition to Chamomilla, there are several other remedies listed as well.